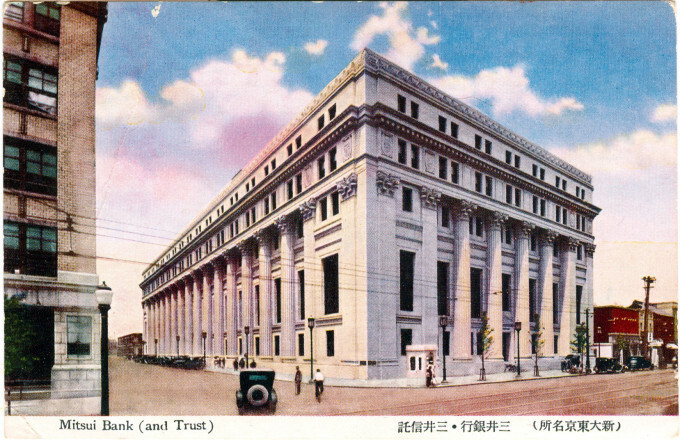 Mitsui Bank and Trust, Nihonbashi. after its completion in 1929. “[The new Mitsui Bank] building will easily take its place as the finest in Asia, comparing favorably with the largest buildings in the world. It will be of steel and reinforced concrete faced with Japanese granite, thoroughly fire and earthquake proof throughout. “… It will face three streets, having sixteen enormous fluted Corinthian coluns 76 feet high on the main front and eight columns of the same dimensions on each side … The basements will be devoted entirely to an enormous system of safe deposit vaults of the latest and most approved model. Over 10,000 boxes will be installed for the safe custody of the Mitsui papers and for the use of their customers. 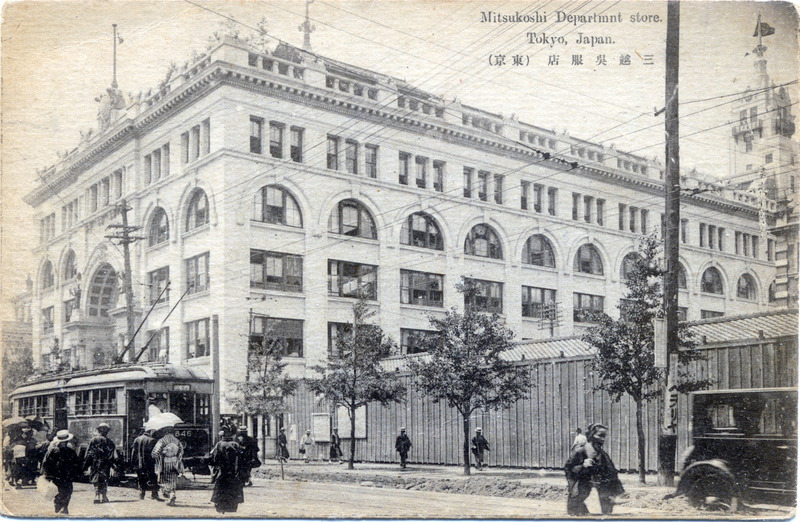 Street view of Mitsukoshi department store (left) and Mitsui Bank construction site (right), c. 1923. 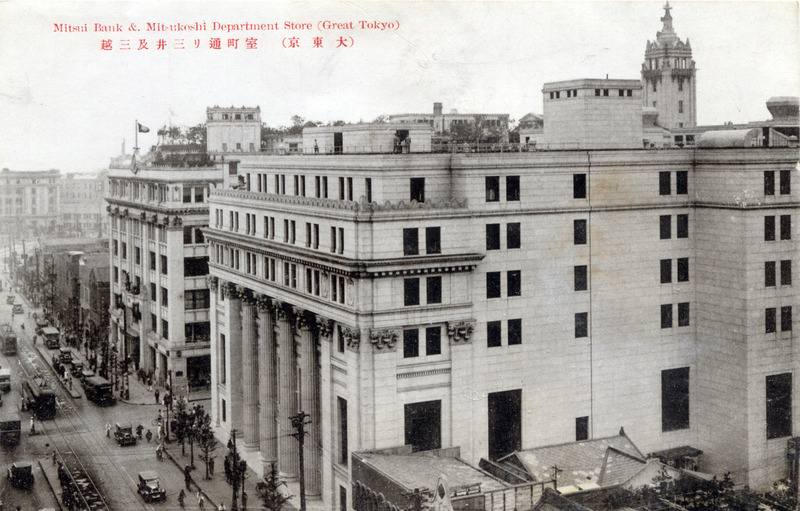 The new Mitsui Bank (foreground), and Mitsukoshi department store (part of the Mitsui zaibatsu), c. 1935.